Back in April of this year , I blogged about T & T Supermarket receiving $36,000 in fines for food violations, the highest fines ever issued in alberta. 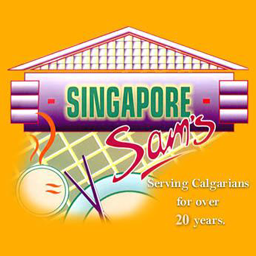 Today , The Calgary Herald reports that Singapore Sam’s in Northeast Calgary was fined $23,000 for "several health violations" including "the discovery of dead mice on and near food"! They had been warned several times by the Calgary Health Region and were shut down four times in two years before being charged. There were 17 inspections in 22 months and five food-borne illnesses investigated. Offences included not keeping food at proper temperatures, not ensuring the premises are free from pests, failing to ensure staff are handling food in a safe manner and not having proper hand washing facilities for those handling food. Co-owners Ke Ting Lowe and Sin Ling Shiu and Manager David Yau must each pay $6,516 including 15 per cent victim fine surcharges on four counts, and the numbered company must pay $3,450 on two counts. I wonder if, given the severity of the situation, this restaurant will be allowed to stay open or not? OK, actually, I know the answer to that – I just called Singapore Sam’s to see if they were still open – and, as you probably guessed, they are! Open today until 10pm, business as usual. So, this should serve as a reminder or warning to all restaurant patrons out there, that you’re on your own. At least you can now check the results of restaurant inspections online (as of July 1 ), but, as this example illustrates, just because it’s open doesn’t mean it passed the inspection. Eat at your own risk! Singapore Sam’s was published on Monday, September 15, 2008 at 4:03pm MDT by Daniel Menjívar and last updated on April 11, 2018 at 9:30pm UTC .